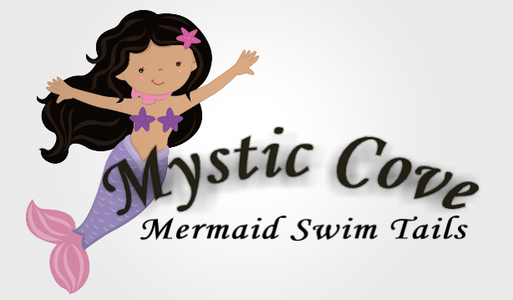 Mystic Cove Mouse Ears are designed and stitched with love! Perfect for your trip to Disney or just fun to wear around town! High quality and value priced! 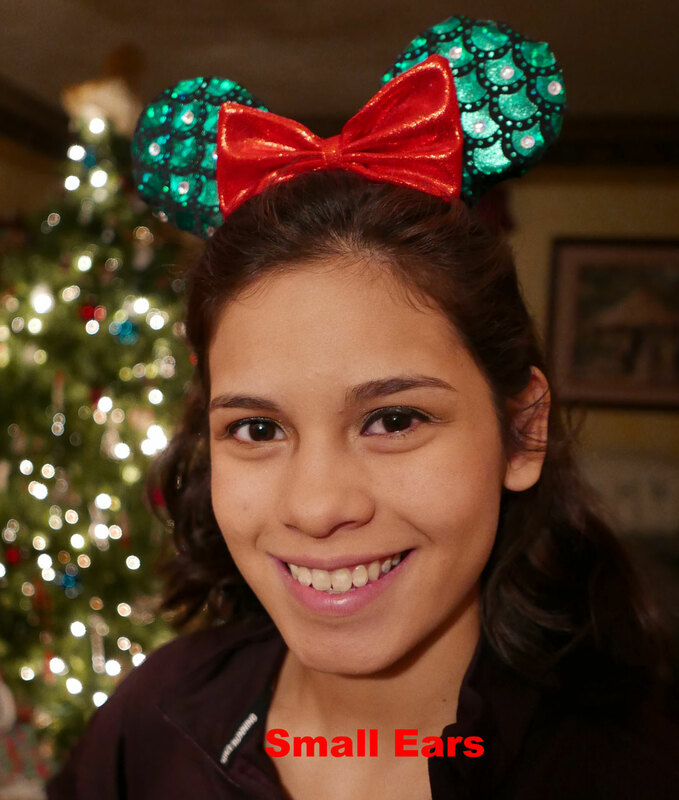 *SMALL-sized ears feature a 1/2" wide headband and 3 1/2" diameter ears. The headband fits children through adults. 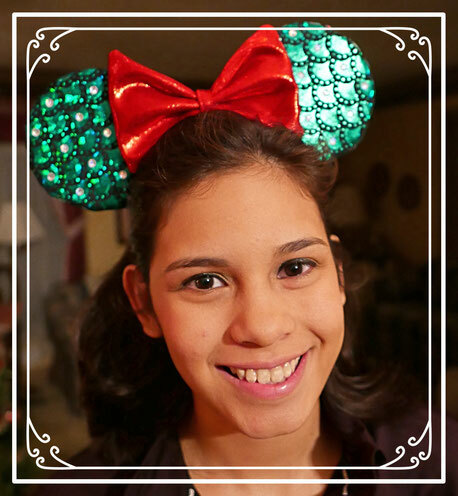 *LARGE-sized ears feature a 1" wide headband and 4 1/4" diameter ears. 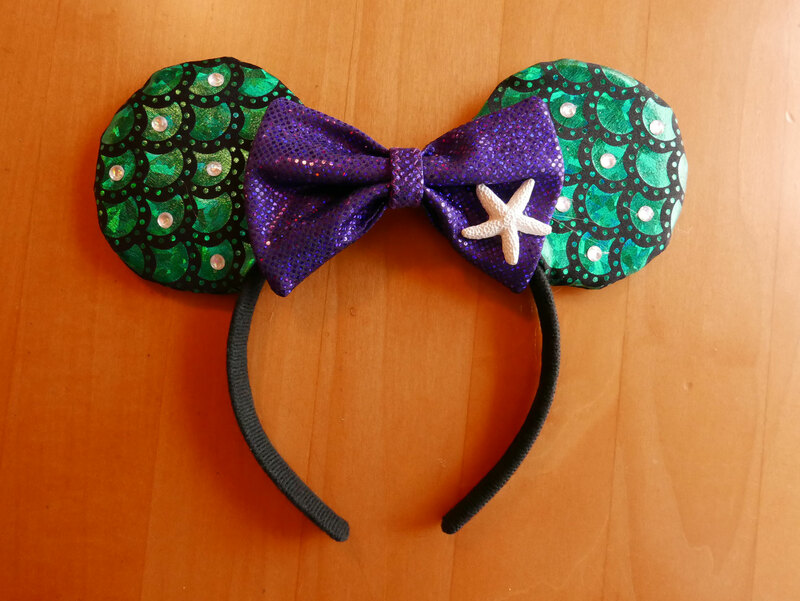 Little Mermaid mouse ears are made with sparkly green scale fabric and accessorized with a glittery purple bow, gemstones, and a resin starfish. 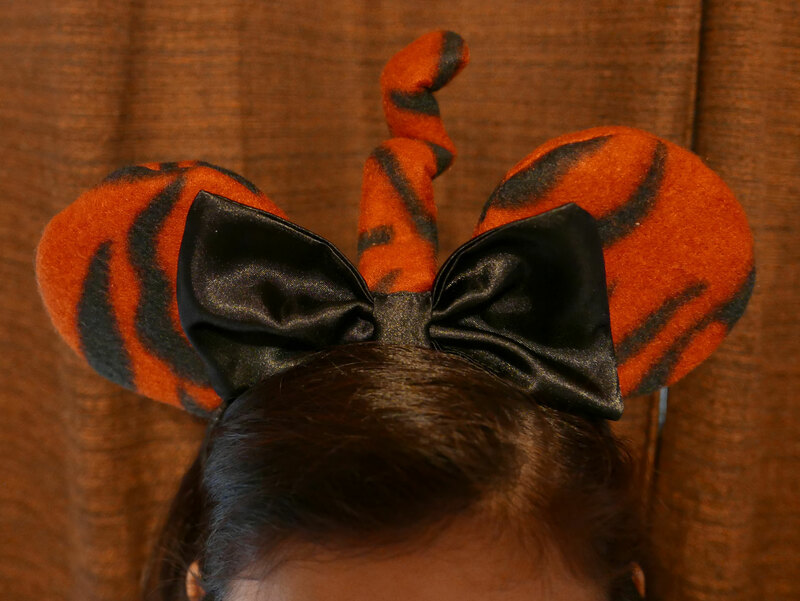 Tigger mouse ears are made from orange and black fleece and a satin bow. 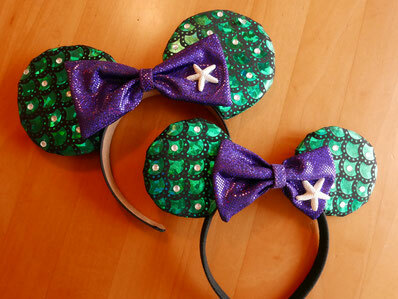 College Themed Mouse Ears: Auburn, LSU, etc. These school-themed mouse ears are made with fleece, wired ribbon, and sparkly fabric and satin fabric. These 3.5" ears fit child to adults. Blue and Orange Tiger Paws for Auburn; Purple and Gold tiger/lion paws for LSU, UNA, etc.